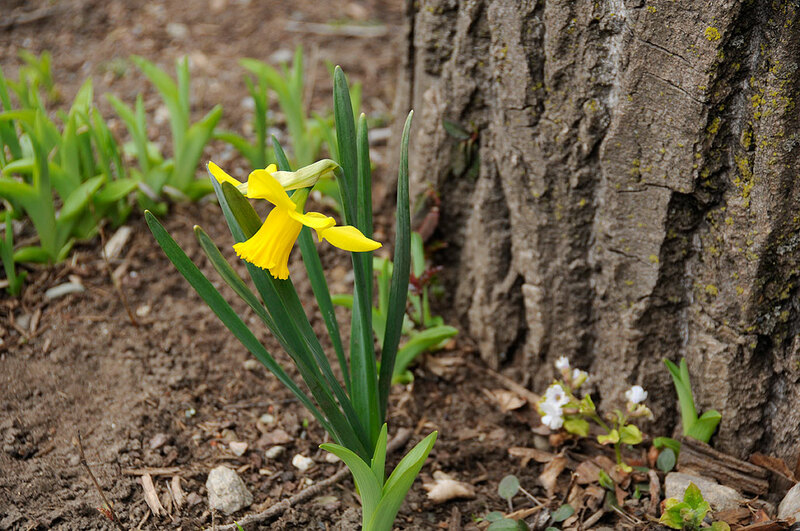 Home » Flowers » Ides of March 2012 : Spring Already? How different this Winter was from that of a year ago! We hardly had any snow this season. Coupled with the unseasonably warm weather the past week, and things in the RainyDayGarden really got kicked into gear. The growth in the garden is probably a week or more ahead of schedule. The dwarf irises and crocuses have been out since the end of February. The tulips, day lillies, and even the peonies have poked through the ground. In fact, this is the earliest we we can recall the daffodils blooming since we have been here. Most of the time we don’t really remember what is going to pop up where, as we tend to move things around when they get crowded. Taking a lot photos of the garden throughout the year helps us keep track. 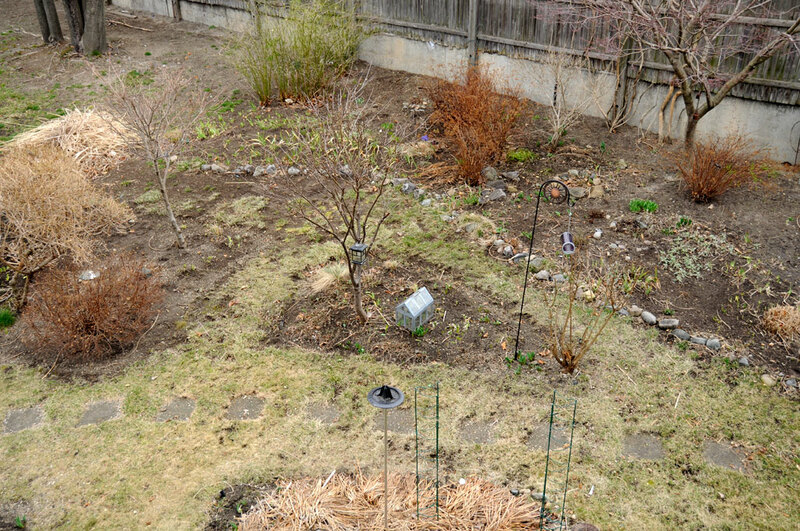 It also gives us a sense of the garden’s progression over the years (2005, 2006, 2007, 2008, 2009, 2011). If we were more disciplined, we would do some actually planning, but then we wouldn’t get to play around in the dirt as much! The weather god has been very generous to us this season. We will take advantage of its generosity and get in some early plantings. Looks like it is going to be a Home Depot weekend coming up!